The Singing Bois, "A Lonelier Woman"
Beatrice Thomas is an artist coach, grant strategist, and multidisciplinary artist & performer, who is passionate about grants education and artist entrepreneurs. Also known as Black Benatar, she has performed at events such as Drag Queen Story Hour and Black Benetar's Black Magic Cabaret. Beatrice shares with us an extremely touching song by The Singing Bois, a retro quartet based in Oakland. 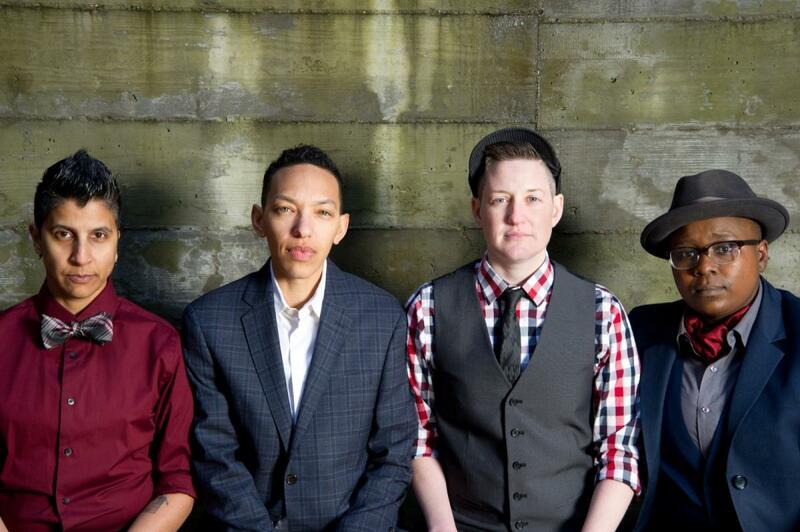 Part boy band, part Rat Pack, The Singing Bois have been telling queer and trans stories through music since 2014. This song in particular directly addresses trans youth and their struggle to survive, and we encourage you to listen to the whole song here if you enjoy the mixtape. Jeremy Wheat, local comedian and host of Altered Images on bff.fm, brings us a classic from everyone's favorite puppet. It was written in 1970 by Joe Raposo and sang by Jim Henson as Kermit the Frog, then covered by many other musicians over the decades. Listen in to see if the wise words of a frog still ring true today. "String Quartet No. 8," by Dmitri Shostakovich. Contemporary classical composer Sahba Aminikia came to San Francisco as a refugee. Born and raised in Iran in the '80s, he left as a young man to study music in Russia, and was a graduate student at the San Francisco Conservatory of Music. Sahba shares with us a tension-filled Shostakovich piece written in the '60s. He tells us how it taught him a lesson about contemporary classical music.